Everyone loves to listen to good music, right? And it’s even better when the music is uplifting with positive messages. It’s easy to get caught up in feeling down about life, so here are some local ladies I love for making music that speaks to the soul! You should definitely give them a listen if you haven’t already! Nonku Phiri’s voice over her electronic music is just magic for when you’re in the mood to dance. This singer and rapper’s music has even taken her overseas! Have you heard her popular song, “Regrettables”? Melo B is known for her really sweet voice, her lyrics that celebrate love and everything that comes with it. If you love Rhythm ’n Blues (RnB), then you’ll definitely love this song, Black Girl Magic . Nandi and Nongoma Ndlovu are sisters who came together to form the duo “KAJAMA”. They make futuristic sounding electronic music that celebrates African culture loud and proud. I love their vibe on this song, Lunar Moonlight. Zoe Modiga doesn’t just sing, she also composes and is a great live performer. Her music is definitely one for the jazz fans, but even for those who aren’t fans of jazz- her voice will definitely capture your heart. Have you heard her moving song, “Uh Oh”? Everyone knows and loves Shekinah, because of her breakout single, Back to the Beach- so of course she had to be on this list. 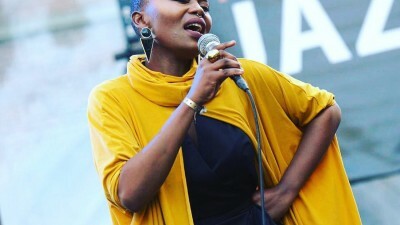 Not only has she worked with Black Coffee, she also recently won 3 South African Music Awards (SAMA), one of them crowning her as Female Artist of the Year. Her album, Rosegold, is a great mix of soul and pop, and after listening to it, it’s not hard to see why she deserves all the success she’s gotten so far! Choma, we have so much talent in this country, and so many young, creative women to look up to and support. Do you know any other artists that you think deserve a mention? Let me know in the comments.